Cherry Finish Curio. 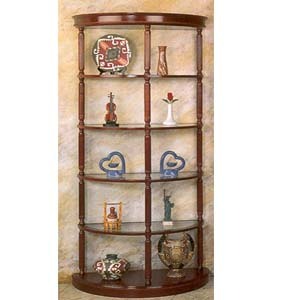 Curio With 5 Tier And Glass Shelves. Easy To Assemble. Deatils: Width: 36 X 18D. X Height: 72.